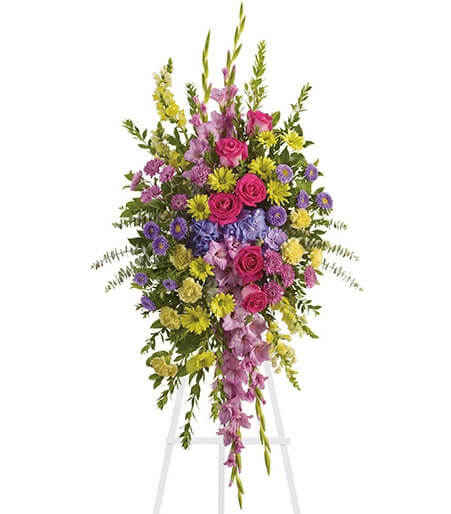 During a somber time, it’s still appropriate to send colorful and happy arrangements. 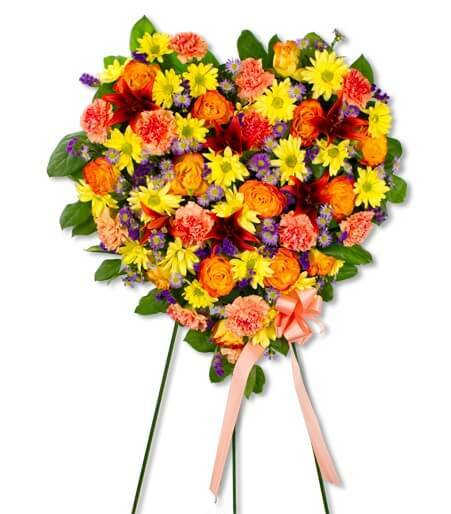 Colorful and bright arrangements can help lighten the mood during a very difficult time. They bring color and light during a dark time. 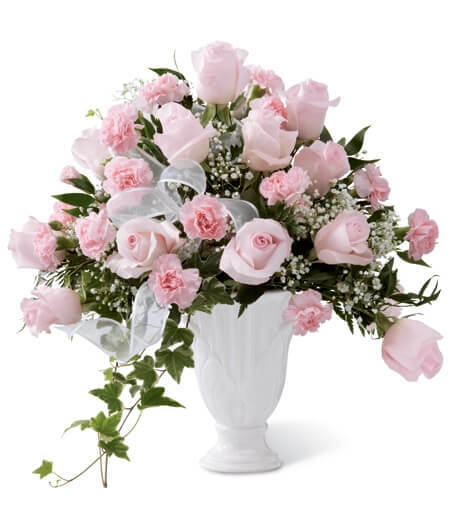 Table arrangements make great sympathy flowers since you can have them sent to the person grieving. 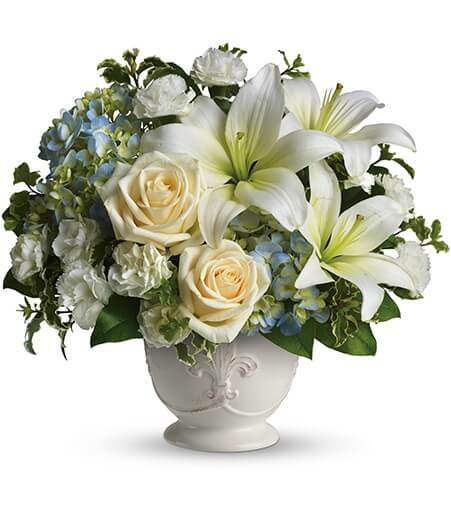 These arrangements are appropriate for both funeral services and to going to the home. 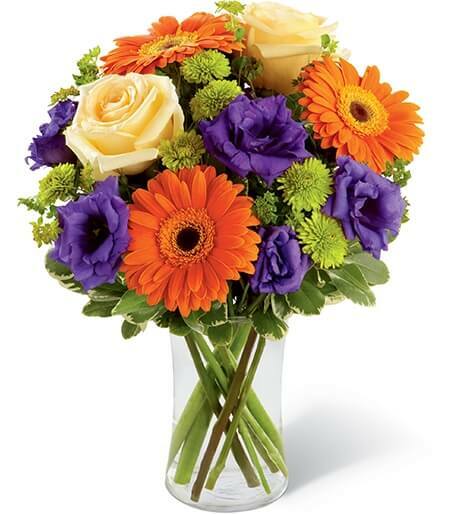 The Rays of Solace Bouquet is a stunning example of bright orange gerbera daisies mixed with purple lisianthus and pale yellow roses that would make a great sympathy arrangement for a coworker. 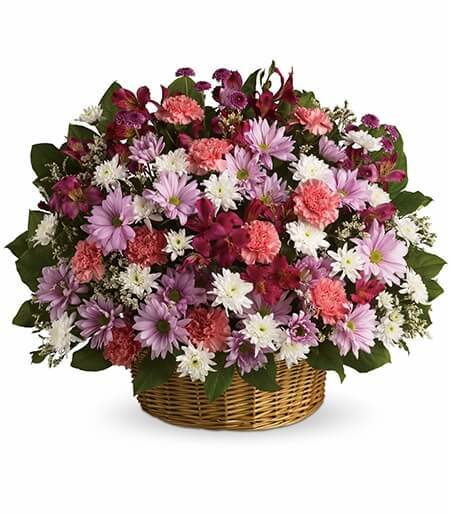 The Pastel Peace Basket is a beautiful example of a bright mix of pink and purple funeral flowers that would be perfect funeral flowers for a woman. Basket arrangements are a display of funeral flowers that typically sit on the floor for services. Anyone that knew the deceased or knows friends and family of the deceased can send these items. 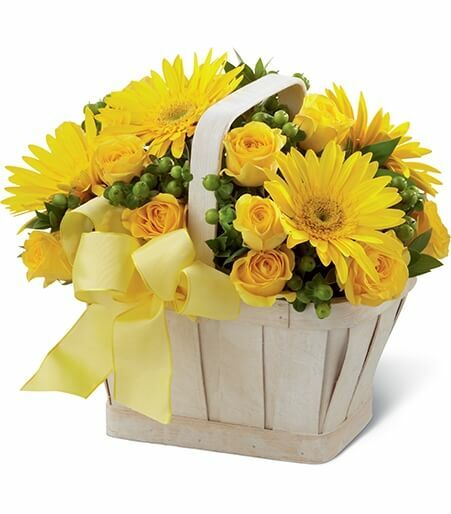 This all yellow funeral flower basket would be appropriate for funeral services for a man by adding a colorful bright and happy touch. 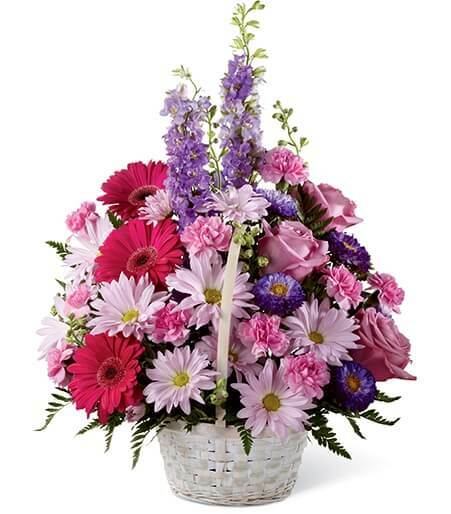 Here is a stunningly bright feminine basket that will sure to lighten the atmosphere with all the colorful flowers. 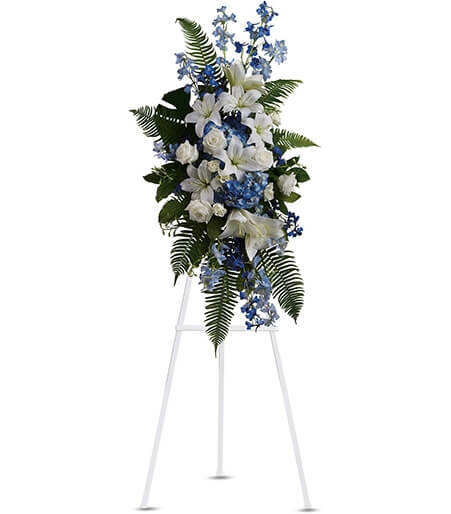 Standing sprays are funeral flowers that are displayed on an easel. These items should never be sent to the home and are strictly for funeral services. Standing sprays have a wide variety of colors, masculine, feminine, and even patriotic. This beautiful blue and white standing spray is appropriate for both men and women. The Bright and Beautiful Spray even states in the name that it’s a bright and cheerful standing spray. The Colorful Heart is a bright mix of flowers in the shape of a solid heart, which will show how heartbroken you are on the loss. 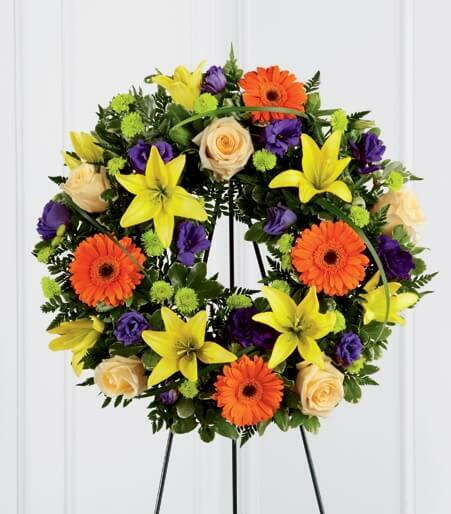 The Radiant Remembrance Wreath symbolizes eternal life with bright color that will help fill the room with joy in celebrating the life of the deceased. 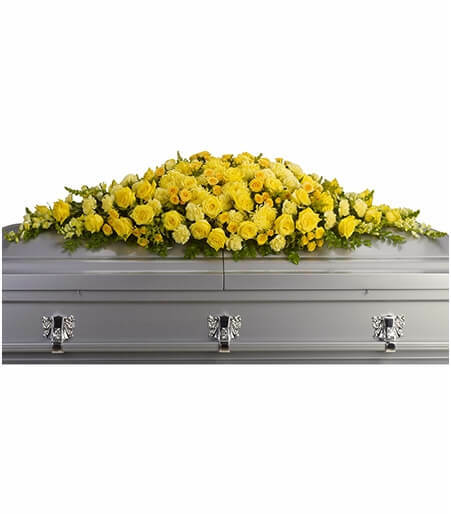 Casket sprays typically come from the immediate family since it represents a close bond to the deceased. 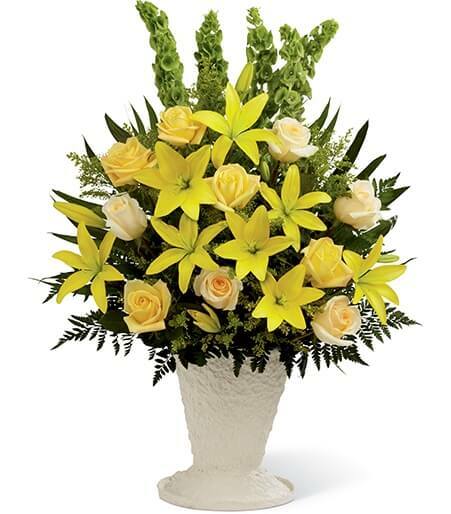 This bright all yellow casket spray is beaming to warm heart during such a dark and mournful time.